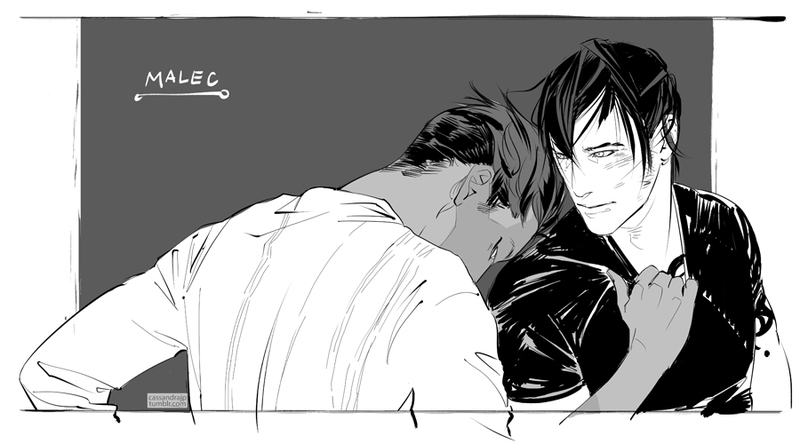 Last week Cassandra Clare treated her fans to a The Lost Book of the White Valentine’s Day snippet – read it here – and today she shared some Malec art from her upcoming book with Wesley Chu. We love it and think that Cassandra Jean did a great job! The Lost Book of the White is written by Cassandra Clare and Wesley Chu and it is going to be released in November.